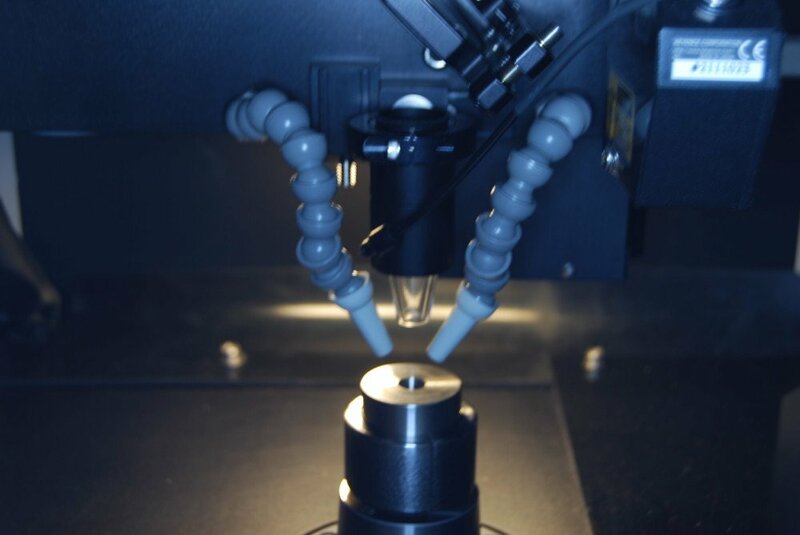 entirely new production-level laser system to drill diamond carbide and thermally stable diamonds. This system replaced a legacy system and considerably reduced run time per part, increasing the daily productivity by a factor of three. 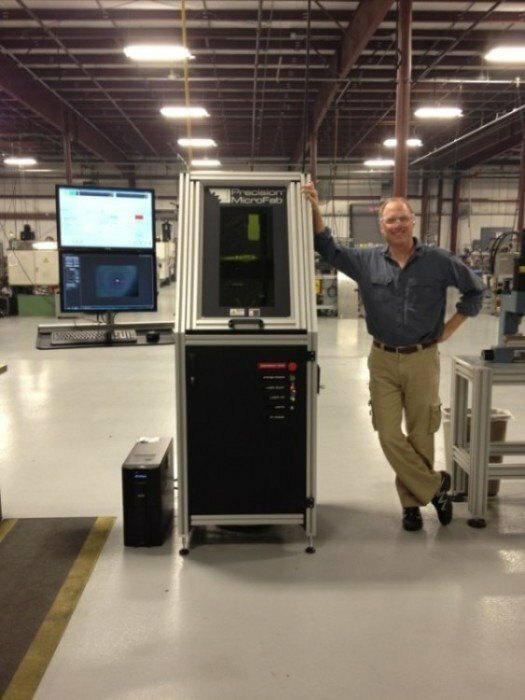 This is just one example of our custom laser manufacture capability. 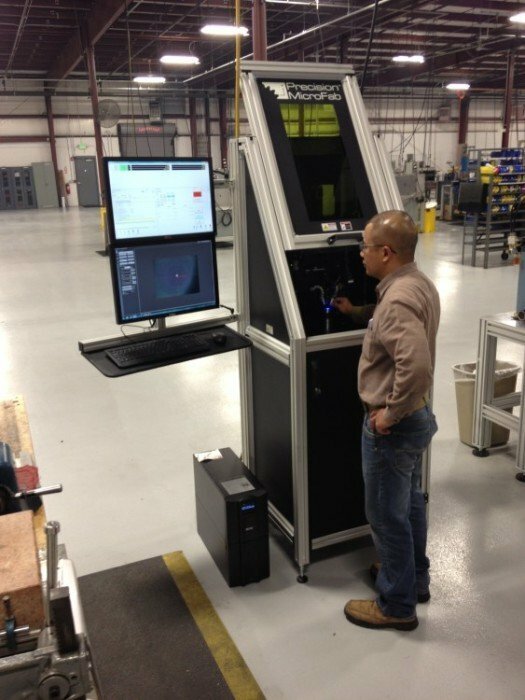 We will custom tailor a laser system specifically for your application. A top of the line computer with the latest motion control software. Air-actuated collet spindle with less than 0.00005” TIR, driven by an Aerotech motor. Beam delivery integrated with video microscope and optics mounted on the stages. Optics and beam delivery module retracts for safe and easy part loading and unloading. Applications specific custom motion controls. Extremely compact machine base footprint of 28” by 26” plus monitor and keyboard arm. A linear motion guide bearing system and high-performance brushless servomotors. XZ assembly with 5 arc sec orthogonality. Alignment to within 3 microns orthogonality for motion stages. Linear error correction for accuracy and repeatability. 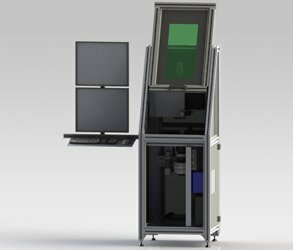 Maintenance-free MOPFA and Q-switched pulsed Ytterbium fiber laser designed for OEM applications. The laser delivers a high power 1.07μm laser beam directly to the work site via a flexible metal-sheathed single mode fiber cable. 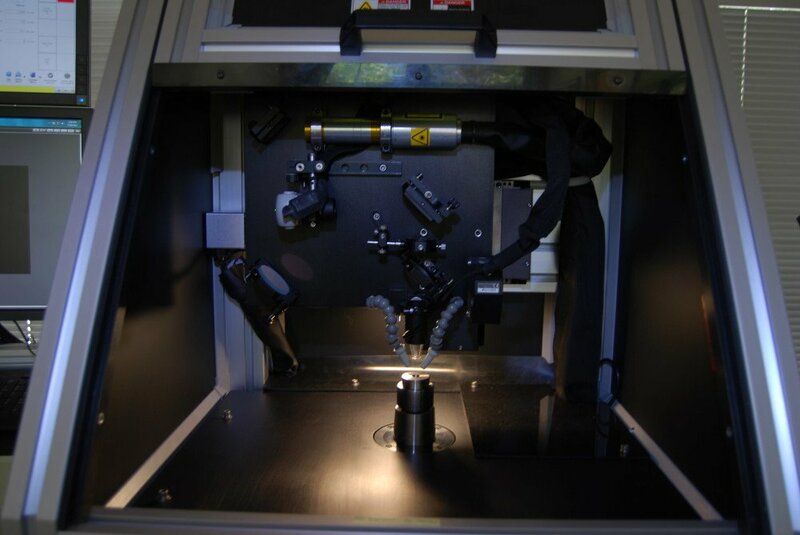 The near diffraction-limited beam can mark, drill or machine a variety of materials. 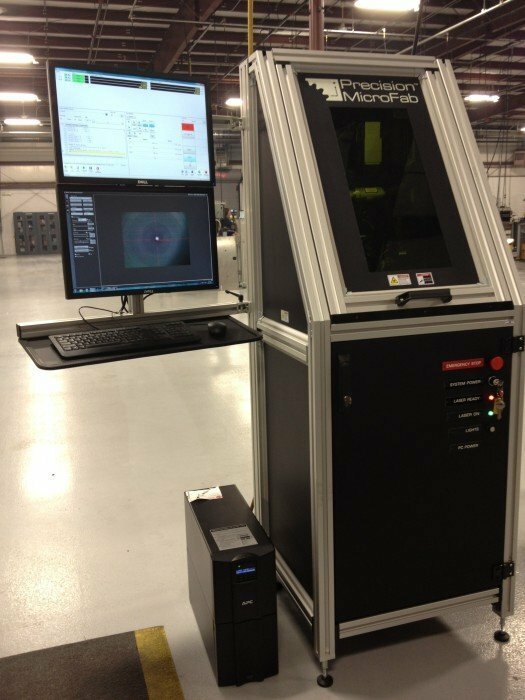 A Certified Industrial Safe Laser System. 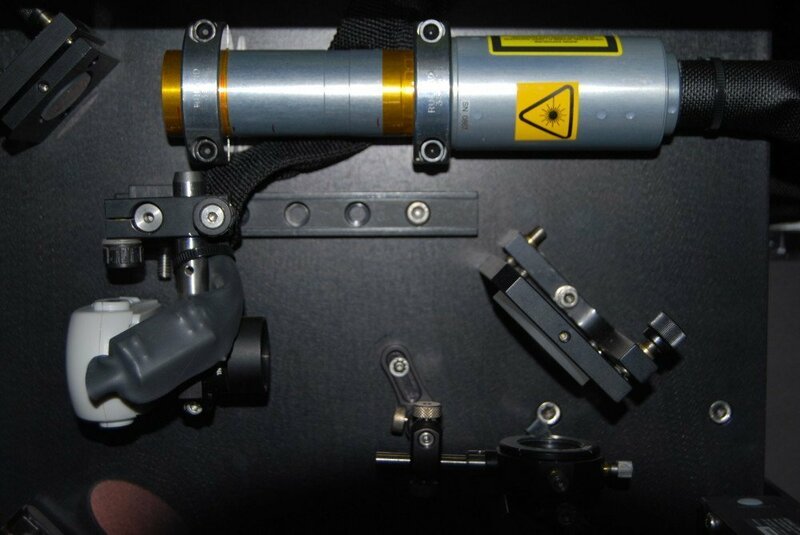 IEC 60825 Compliant – Safety of Laser Products. UL 508A Compliant – Safety Standard for Industrial Control Products. NFPA 79 Compliant – Electrical Standard for Industrial Machinery.